The crisis in Ukraine has thrust energy security to the top of the agenda in European capitals. With Russia accounting for almost one-third of Europe’s natural gas, the prospect of the conflict escalating has stoked fears of a supply disruption. At the time of this writing, Ukrainian officials said that any crossing of the border by Russian troops would be viewed in Kiev as an “invasion,” suggesting that the conflict could come to a head in the coming days or weeks. While Europe’s dependence on Russian gas has been on the decline for years, it is obviously not free of Russia’s grip just yet. The standoff over Crimea, and now the eastern provinces of Ukraine, has Europe looking for alternatives. Ukraine is at the crossroads for a significant portion of European energy flows – Europe gets 16 percent of its natural gas from pipelines that pass through Ukraine. As a whole, the EU gets about 40 percent of its gas from Russia, and 20 percent of its oil. 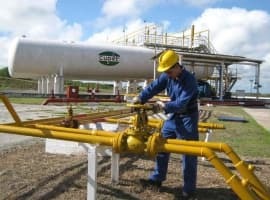 Replacing Russian gas will likely include some combination of greater pipeline and electrical grid interconnections between countries, more LNG imports, renewable energy, and a push for the development of European shale gas. 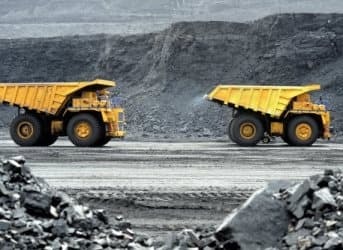 But a campaign to improve energy security could have coal at its core, despite many European governments’ long-held goals to reduce greenhouse gas emissions. Coal is still a low cost energy, and countries like Germany and Poland are major producers. And although Europe has made major progress in its use of renewable energy, it’s done so while keeping an increasingly nervous eye on Russia. As Ladka Bauerova writes in Bloomberg News, the energy security that coal provides may trump Europe’s climate goals. The Polish government, in particular, is pushing hard to expand Europe’s consumption of coal. Poland produces 158 million tons of coal per year and consumes nearly as much, second only to Germany in both categories. And with coal accounting for 75 percent of Poland’s electricity, it is not nearly as vulnerable to Russia’s manipulation of energy supplies as other Eastern European countries are. With few other short-term options, chances are his viewpoint will hold sway in Brussels as the EU cobbles together its energy security roadmap, due out in June. When U.S. President Barack Obama visited Europe in late March, it appeared that European policymakers were pinning their hopes on the U.S. exporting large volumes of LNG to undercut Russia’s position. EU leaders, including German Chancellor Angela Merkel, pressed Obama to green light LNG export terminals. Obama suggested that the EU could smooth the way to greater American LNG exports if a free trade agreement with the U.S. could be agreed upon. But beyond that, he advised Europe to do more to develop its own energy, reportedly saying, “You cannot just rely on other people's energy.” In any event, liquid natural gas from the U.S. is years away from becoming a significant export and is more likely to be destined for Asia when it does. 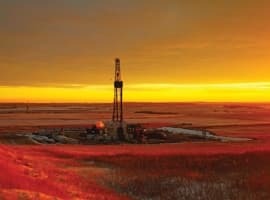 Related Article: Is Natural Gas No Better than Coal? European-produced shale gas – once thought to hold promise -- is looking less like a solid energy option. The Polish government has been aggressively supporting the development of shale gas industry and its geology initially appeared to hold potential. Several big companies made investments in Poland a few years ago, but with nearly all of the wells coming up dry, ExxonMobil and Marathon Oil, among others, pulled out in 2012 and there have been few positive developments since. That is not to say that Poland will ultimately fail to develop shale gas, but even it succeeds, it would take years before commercial volumes are realized. Other nations including France and Bulgaria have implemented outright bans on hydraulic fracturing. Renewable energy will continue to play an important role in Europe and already accounts for around one-quarter of Germany’s electricity generation. But it will only incrementally be added to the grid, and in places like Poland, where climate change is not a priority, renewable energy could take a backseat. That leaves coal, which many climate hawks in Europe had hoped to move beyond. But for a continent skeptical of fracking, turning away from nuclear, and looking to replace for Russian gas, coal may end up having a longer shelf life than those hoping to address climate change previously thought. Coal is an 19th century technology that doesn't belong in a 21th century world. Stop gap? Maybe; but let's get on to the next episode: Renewables. This saber rattling over increasing coal use is directed towards the U.S. more than towards anyone else. Realizing its gas pipeline from Russia is in a precarious state, the EU must now consider the very real possibility it will have to eventually buy its NG from the U.S. This equation doesn't have to balance in terms of gas prices at present, but when export limits are dropped in the U.S. and U.S. gas starts flowing overseas, prices will rise, precipitously, and then it all starts to "make sense" in terms of building the port and shipping infrastructure necessary to allow NG exports to Europe. 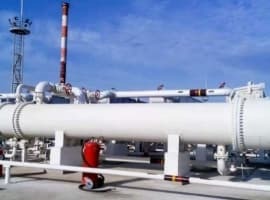 The U.S. government will probably use this gas supply as a bargaining chip in the TAFTA/TTIP trade talks, agreements the EU is presently not overly enthused about wrapping up. While threats towards constricting the NG supply will not made, the U.S. government most certainly holds control over the level of export tariffs levied on this gas, and thus eventually force the EU to the negotiating table. The talk of returning to coal from EU members is more of a chimera, boosting belief that the EU still has some semblance of control over its energy future.